Begin this wednesday with fun and humour. 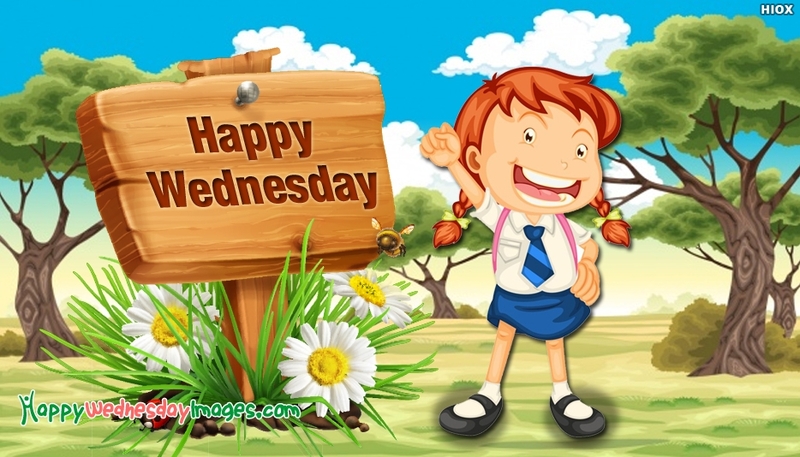 Here is a very beautiful happy wednesday picture portraying the funny cartoon art of smiling girl child and the message "Happy Wednesday". The image portrays a background art of a bright sunny day and nature, giving us a pleasant feeling.